Aquaculture is one of the fastest growing food-production sectors but the economic impact that parasites and bacterial, fungal and viral diseases have on the industry is highly significant for the many countries that rely heavily on this industry. Research into the diseases that affect penaeid shrimps that are grown in aquaculture systems is therefore vital, writes Bob Carling for TheFishSite. 2. The fungal infection, hepatopancreatic microsporidiosis caused by Enterocytozoon hepatopenaei (EHP). 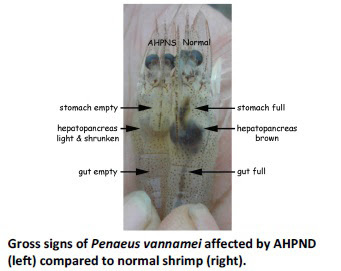 Acute Hepatopancreatic Necrosis Disease (AHPND) is a problem of the main countries that farm shrimps – China, Thailand, Vietnam and Malaysia. AHPND can occur in the first 30 days after stocking shrimp into ‘grow-out’ ponds, which is why AHPND is commonly, but incorrectly, called early mortality syndrome (EMS). The disease is caused by a bacterium that colonizes the shrimp gastrointestinal tract and produces a toxin that causes tissue destruction and dysfunction of the the hepatopancreas, the shrimp digestive organ. The culprit is the bacterium Vibrio parahaemolyticus (Vp), a common enough bacterium in brackish saltwater which, when ingested, can cause gastrointestinal illness in humans. Mortality of infected shrimp stock can exceed 70%. Development and implementation of aquatic veterinary health plans. 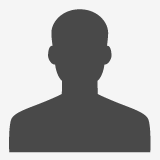 Unless they are certified by independent third parties as being free from AHPND, the use of live feeds for shrimp broodstock should be discouraged – or, where live feeds are used, these should be sterilised or frozen to reduce the likely transfer of AHPND. In comparison to AHPND, very little is known about the effects on aquaculture systems by the fungal infection hepatopancreatic microsporidiosis (HPM) caused by Enterocytozoon hepatopenaei (EHP). What is known so far is that EHP infects only the tubule epithelial cells of the hepatopancreas of the shrimp. The spores are very small (1.1 × 0.60–0.07μm) and have a polar filament with 4–5 coils. Although previously EHP was only reported as being found in the shrimp hepatopancreas tubule epithelial cells. In 2010, EHP was reported as being associated with ‘white faeces syndrome’ (WFS), but further experiments have however failed to show the association with WFS, although transmission has been demonstrated. EHP spores are extremely hardy and EHP can be transmitted horizontally between shrimp. As a result EHP infection can spread progressively and is believed to intensify with successive shrimp crops over time. Detection and screening is done by using nested polymerase chain reaction (PCR) and loop-mediated isothermal amplification (LAMP) tests. Histological analysis for the spores is possible, but is difficult unless performed by expert histopathologists. Live feeds should be avoided and/or freezing/sterilization should be carried out. Shrimp farmers have tried a variety of measures to try and eradicate EHP from hatcheries, nurseries and grow-out farms but with little success. There has been some experimentation with alternative treatments, including coccidiostats used to treat poultry like Monensin, but no research has yet been conducted to ensure the product is safe to use in shrimp production systems.